A tee can go everywhere from everyday lounging around the house to high fashion. Tees are versatile and comfy and one of the most fundamental closet must-haves. However, no matter how much of a staple I consider the perfect tee it always seems to be the one item constantly missing from my wardrobe. 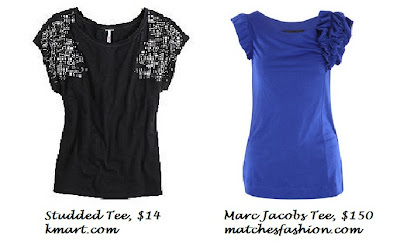 So I've offically set out a quest to find some great tees and ways to style them. Below I've pictured some of my current favorites. No one can deny that a red leather jacket doesn't express major attitude. For under the jacket there is a sheer jersey capped sleeved tee by Alexander Wang and an ultra feminine skirt in a neutral color. The looks is rounded out by bold red accessories. The tee center stage in this look would be a classic white tee if not for the the big shoulder bow. I love the mixture of colors and patterns in this look from the horse print shorts, to the floral shoes, and the touch of strips on the tee. This would be a great, comfortable look to spend the weekend in. My favorite thing about this look is that it is very ladylike and proper. The coral tee has an adorable bow detail neckline. And with the addition of the full belted skirt, and a classic trench and handbag I can picture the wearer of this outfit hanging out in the Upper East Side. 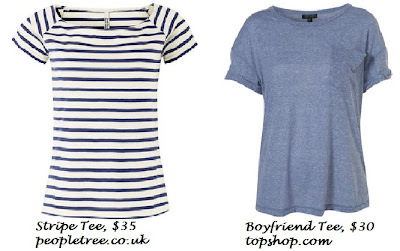 This is a slightly rock and roll spin on the tee shirt and jeans look. This oversized tee features a heart screen print which has been paired with a cardi knit coat and stretch denim skinny jeans. I love the addition of edgy jewelry and the Elizabeth and James boats. Your posts are so well done, such creativity and thought in each look! Exquisite! Lovely outfits. You have amazing taste. 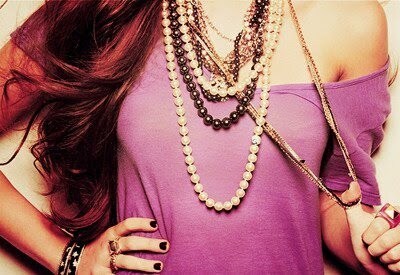 Btw, is that first picture from Mileys seventeen photoshoot? 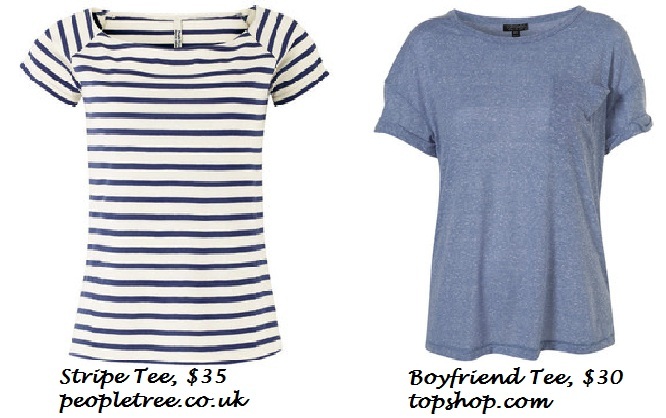 The striped tee is my favourite and the tangerines.. wow! I am in need of colours in my life these days! Oh great post! 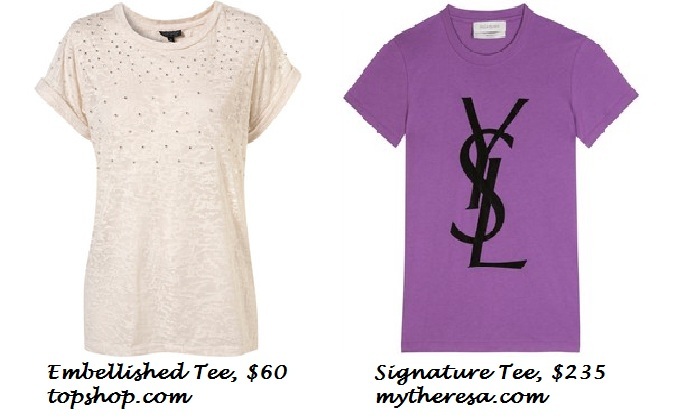 i love tee's (: i was thinking to start my own tee design. Love your comments! thank you! hope you know that k come karolina is also on bloglovin, facebook and twitter :) so cu soon!!! I love tee's you can do so much with them.